This was a Government-supported scheme through the Department of Work and Pensions. It provided six-month fully-funded work placements to people aged 18-24 who were long-term unemployed. The aim was to provide work experience; infact almost 35% went on to sustained employment. 3SC was one of the leading national UK providers, providing more than 6,000 placements over three phases during 2009-2011. 3SC assisted in delivering the Talent Match programme – a Big Lottery Fund programme that supported people aged 18-24 who had been out of work, education or training for over 12 months. Talent Match was London Youth’s programme and covered 11 London boroughs. 3SC led the Disability Specialist partnership, covering all 11 boroughs. Our partners in this included Mencap, the Royal Association for Deaf People, the Royal London Society for the Blind, City and Hackney Mind, Jobs in Mind, and a range of specialist providers. 3SC delivered the Bridgend Futures contract for Bridgend County Borough Council, working with their Communities First teams to support 90 NEETs (not in education, employment or training) and 90 older people. The delivery was aimed at local residents who were not supported by other provisions or organisations. The programme extended from December 2013 until March 2015. The 3SC contract over-achieved on almost all outcomes and assisted more than 50 people in gaining a recognised qualification. 3SC helped deliver the Welsh Government’s flagship employment programme, called Jobs Growth Wales. From August 2013 to March 2015 3SC promoted the programme to thousands of employers, and successfully placed more than 650 young people aged 16-24 into lasting employment. 3SC delivered both the third sector strand and the supported strand and offered direct opportunities with charities, social enterprises, and voluntary and community groups. On the supported strand we delivered a ground-breaking programme of support to young people and provided one-to-one coaching to support them in their new job. Integr8, a £1.25 million Greater London Authority (GLA) project operated in the North, East and South of London, was aimed at young people who had been repeatedly excluded from school, to help them to engage more effectively with their education, and prevent them from becoming categorised as NEET. Integr8 worked with schools and alternative education providers in several London boroughs, and the project was delivered in partnership with a consortium of six specialist third sector providers. 3SC launched the first social impact bond in Wales, supporting disaffected young people through the Department of Work and Pensions’ Innovation Fund. Capitalise was delivered in partnership with Catch22: include; Dyslexia Action; and Big Society Capital. More than 700 of the most vulnerable young people were assisted, preventing them from becoming categorised as NEET. The programme worked within the school environment, providing support workers and specialist teachers to use CBT (cognitive behavioural therapy) to improve attainment, behaviour and attitude. This programme was a phenomenal success, and generated in excess of the outcomes initially expected. 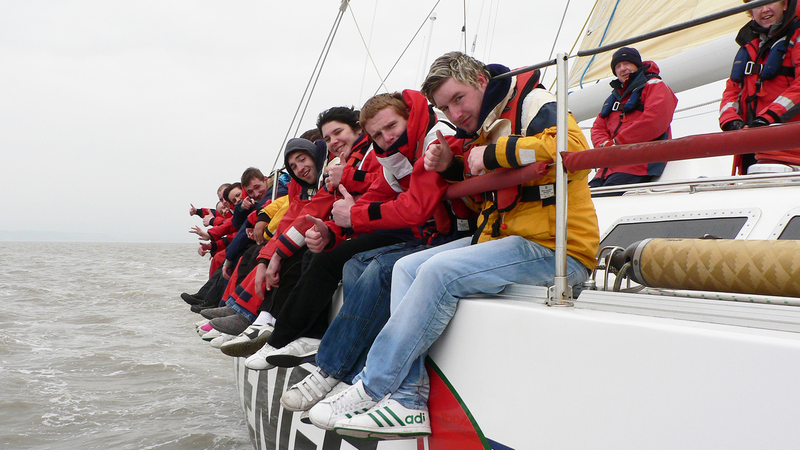 Challenge Wales provides residential and day voyages to young people to help broaden their horizons enabling them to reach their potential. 3SC and Challenge Wales were delighted to work together on Jobs Growth Wales.